Combine all ingredients in a mixing glass and stir until chilled. 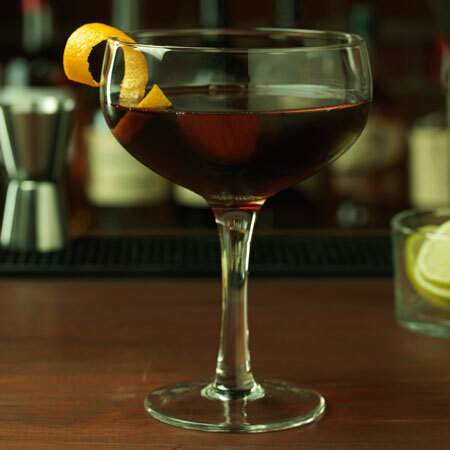 Strain into coupe glass and garnish with orange peel. This drink can also be served on the rocks.